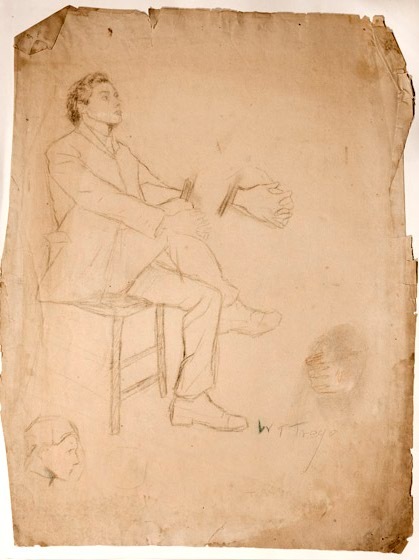 Signed lr: " "W. T. Trego"
It is impossible to determine whether this work was done during Trego's years at the Pennsylvania Academy or dates from a later time. The paper is discolored and brittle. There is damage along the edges and some losses. Most of the image is badly faded.